Indiana University President Michael A. McRobbie delivered the annual State of the University address on the Indiana University-Purdue University Indianapolis campus. 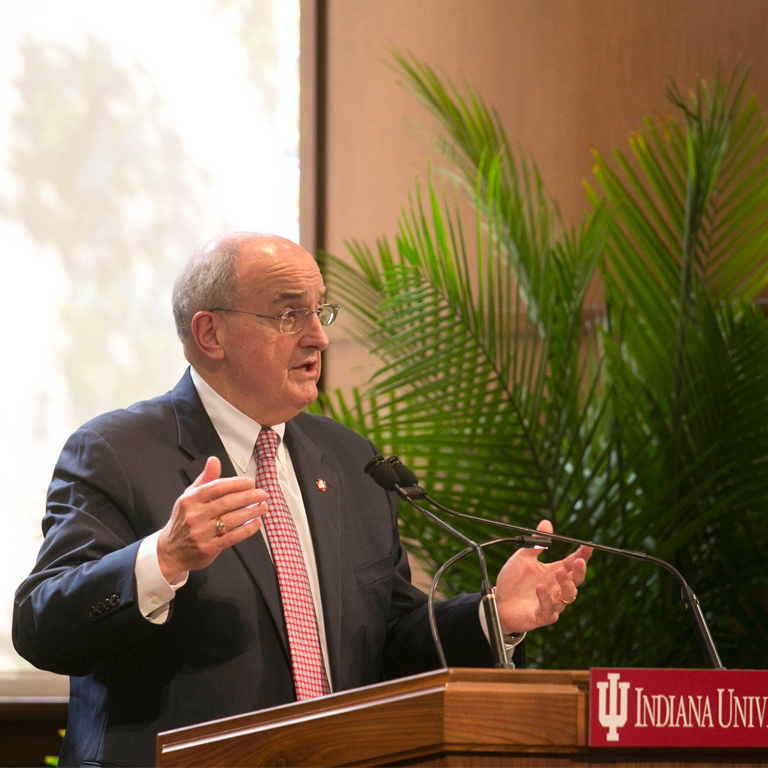 McRobbie, who recently concluded his fifth year as IU president, discussed progress made over the past year on several university initiatives and outlined future directions in a number of key areas. He made major announcements concerning the university's cyberinfrastructure and research technologies as well as initiatives that will help ensure that a four-year college degree remains within the grasp of all qualified students.